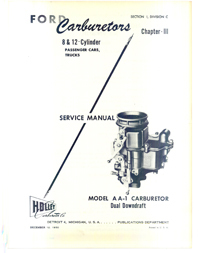 One hundred and fifty-one pages: Complete factory service information for Holley AA-1, 2100-DD and 2110-EE carburetors used on Ford and Mercury flathead V-8's and LincolnV-12 applications. 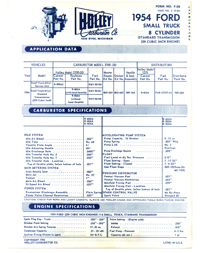 Includes detailed manuals as well as specification sheets, parts lists and diagrams, and tune up information. 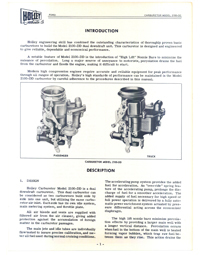 The most complete resource available. Fast, secure e-book download.